Conflict, and the resultant need for peacemaking, goes as far back in human history as Cain, son of Adam and Eve, who killed his brother Abel. Ever since then there has been conflict between tribes and nations, and in our own time between unions and management, students and school administrations—and, sad to say, too often between factions in churches or denominations, or even within families. So today there is a great need for people who can play the role of peacemaker, whether between nations, or labor and management, or students and administrations. 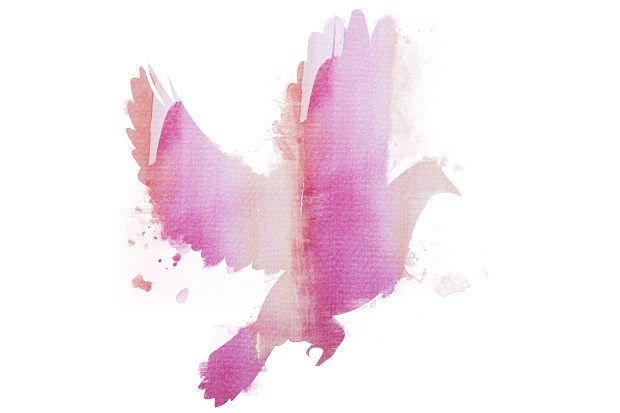 There is even a fine organization called Peacemaker Ministries which seeks to mediate peace within churches or families. We should be grateful for all the people who seek to be peacemakers at various levels of society. But there is no doubt that Jesus did not have any of these people in mind when He said, “Blessed are the peacemakers.” He was addressing His words to people who were powerless to play the role of peacemaker on a national or international scale. He did not even have in mind people who are gifted and trained to bring peace within churches or families, as important as that type of ministry is. Rather, as in all these Beatitudes, He is speaking of something that should have been true of all His hearers at that time, and should be true of all believers today. Jesus is speaking of making peace when we ourselves are involved in conflict with others. So to explore this Beatitude, we need to go to the root cause of conflict among ourselves. As you read through the letters of the New Testament, you will notice how often conflict is addressed. In Galatians 5:15 Paul warns, “But if you bite and devour one another, watch out that you are not consumed by one another.” When he writes about the works of the flesh, along with flagrant sins such as immorality he mentions such sins as enmity, strife, jealousy, anger, and the like (Galatians 5:19-21). When James asks, “What ca uses quarrels and what causes fights among you?” (James 4:1), he is writing in the overall context of a discussion of the razor-sharp tongue (James 3:6–4:2). In the Old Testament, Solomon addresses the misuse of the tongue when he writes, “A soft answer turns away wrath, but a harsh word stirs up anger” (Proverbs 15:1). It is often the sinful use of our tongues that causes conflict. But the tongue is only an instrument. The real problem is our heart, for Jesus said, “For out of the abundance of the heart the mouth speaks” (Matthew 12:34). It is because of pride, anger, jealousy, and the like in our hearts that we speak cutting and hurtful words to one another. And it is because we nurse hurts from other people and harbor resentment in our hearts that we engage in verbal conflict. In order to even ask those questions, we have to admit we have those attitudes. But because we know they are sinful, we tend to live in denial that we even have them. We need to deal with the sinful passions of our own hearts before we can deal with conflict of any kind with others. So where do we start? One way would be to go back over each of the character traits of the previous Beatitudes, and prayerfully and carefully ask ourselves how we compare with each of the traits. Am I poor in spirit? Do I mourn over my sin? Am I truly meek before God and with respect to other people? Do I truly hunger and thirst after righteousness, not only in my conduct, but also in my heart? Am I merciful toward others who sin against me because I am aware of how merciful God has been to me? Do I seek a singleness of heart toward God based on the fact that I am no longer my own, but rather am Christ’s possession? And if I am truly His possession, then does it really matter how I am treated? Because that is His business. If we ask ourselves these questions with complete honesty, we should end up with a deep sense of humility. Only then are we in a position of becoming peacemakers. Peacemaking is just one chapter from The Blessing of Humility. Click to get your copy or read another free chapter. Peacemaking where there is conflict with someone else is not an option for us. It is God’s commandment. We are to strive for peace with everyone (Hebrews 12:14). The word strive is a translation of the Greek word diōkō. It is a very intense word and is most often used for the word persecute. Paul uses it in Philippians 3:12, 14 to say, “I press on.” In 2 Timothy 2:22, he encourages Timothy to “pursue [diōkō] . . . peace.” Peter, quoting from Psalm 34:14 writes, “let him seek peace and pursue [diōkō] it” (1 Peter 3:11). All these expressions convey an attitude of intensity, what I call a sincere desire and an earnest effort to bring about peace where there is conflict with another person. Paul’s expression “I press on” seems to portray perseverance even in the face of a discouraging response from the other person, or persons. What might this look like in everyday life? Paul gives some admonitions in Romans 12:14-21. “Bless those who persecute you” (verse 14) is an astounding statement: Instead of retaliating, we are to bless. We can easily pass by this instruction as not applying to us, because we do not suffer actual persecution. But there is a principle here that we should not ignore: We are to bless anyone who mistreats us in any way. Their mistreatment may be hurtful words or hurtful actions, but whatever they are, we are to bless the other person. We certainly are not to repay evil for evil (verse 17); nor are we to avenge ourselves in any way (verse 19). Rather we are to leave vengeance to God. This does not mean that we pray for God’s judgment on the person, but rather we entrust our situation to Him who judges with perfect justice. We can easily see from the words of Jesus and from the writings of the apostle Paul, who wrote under the direct guidance of the Holy Spirit (2 Peter 1:21), that they turned the world’s values upside down. To bless instead of retaliating, to leave justice in the hand of God instead of seeking it ourselves, is completely beyond society’s values. And, sadly, it often seems beyond our values. But if we are to live biblically, these are the standards we must seek to live by. 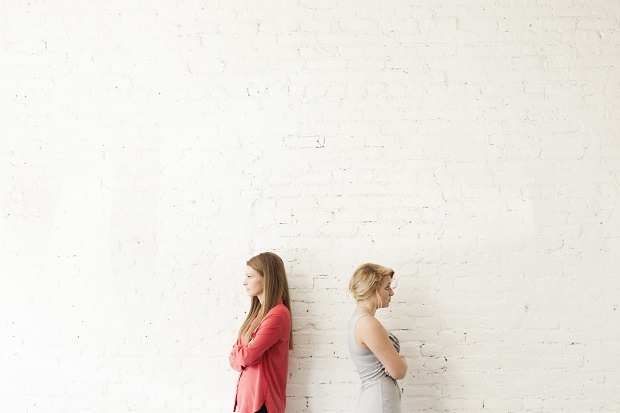 Despite our best efforts, however, there may be times when the person(s) we are in conflict with will not reciprocate. In that case, Paul says, “If possible, so far as it depends on you, live peaceably with all” (Romans 12:18). How can we do this? Jesus tells us, “Love your enemies and pray for those who persecute you” (Matthew 5:44). Are we willing to pray for those who have hurt us, that God will bless them? To be a peacemaker, then, means we absorb the hurtful words or actions of others without becoming resentful, or retaliating, or even cutting off a relationship with the person. When I mention hurtful actions, I do not include physically abusive actions. Addressing this issue is beyond the scope of this book, as the process of peacemaking. (In my opinion the best book to address the process is Ken Sande’s The Peacemaker.8) But hurtful actions such as gossip, slander, or angry words addressed to someone can damage or even sever a relationship between two or more people. To be a peacemaker means taking the initiative to restore such broken or damaged relationships, even when the major cause of the rupture lies with the other person. And it especially requires taking the initiative when you are the one who has caused the damaged relationship. To be a peacemaker means we must seek to be delivered from self-interest and not look at everything in terms of how it affects us. Instead we must be concerned about the glory of God and how we can best promote that glory in situations of conflict. One of the greatest examples of humility in action is to act as a peacemaker in conflict that involves ourselves. This humility cannot simply be worked up as an outward expression. It must come from the heart, and this is the work of the Holy Spirit. But the Holy Spirit uses means, and the chief means are God’s Word and our prayers. So let me suggest two passages of Scripture in I Peter for you to ponder and pray over. 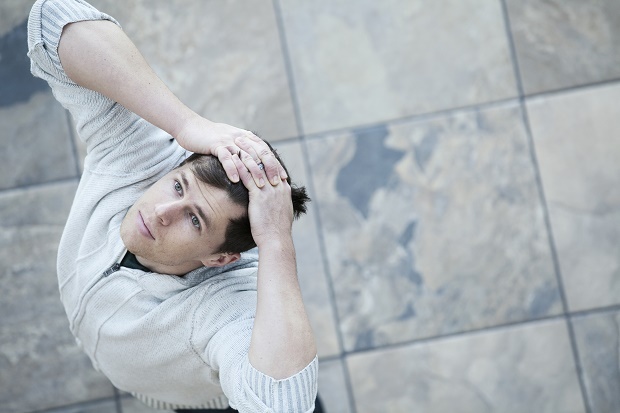 Although he is addressing a specific situation, Peter is employing a principle that any of us can apply to any situation where we are hurt or treated unjustly. Note Peter’s words, “For this is a gracious thing, when mindful of God, one endures sorrows while suffering unjustly,” and again in verse 20, “this is a gracious thing in the sight of God.” Why is it gracious in the sight of God? Because we are seeking to please and glorify Him instead of being concerned about ourselves. Jesus’ response when reviled answers the question, “What about the other person’s sin? Who is going to deal with that?” Jesus entrusted the outcome to God, and so should we. So if you are currently experiencing conflict, especially if you are the one hurt in the situation, I urge you to reflect on the principle in Peter’s words to slaves, and then on the example of Jesus. Ponder these words carefully in the light of your situation, and ask the Holy Spirit to enable you by His power to apply them to your situation. In this way you will be displaying true humility in action. 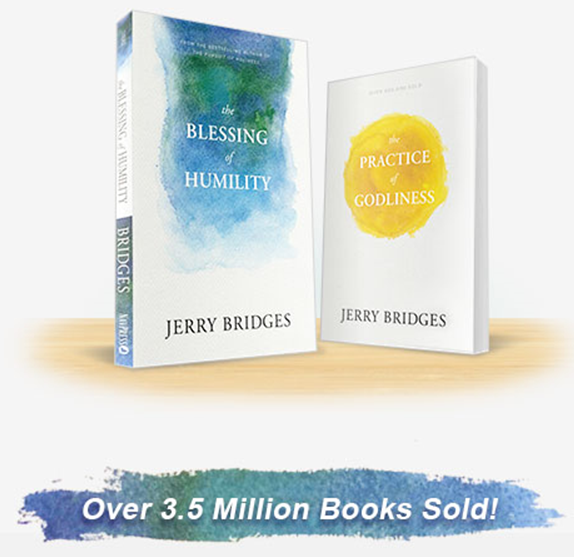 Get your copy or read another free chapter from Jerry Bridges’ final book The Blessing of Humility. Jerry was a renowned author on spiritual growth and discipleship. His books have sold over 3.5 million copies. His most popular work is The Pursuit of Holiness. See all of Jerry’s books at navpress.com.